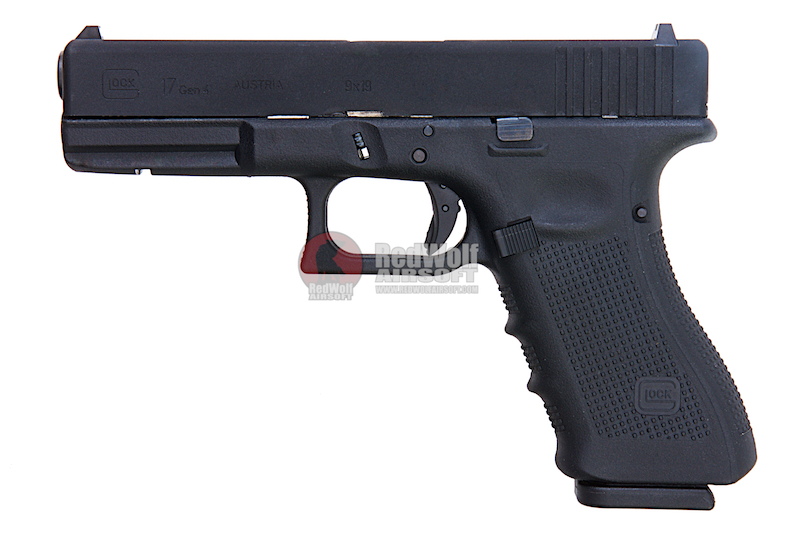 At the 2010 SHOT Show, Glock presented the "fourth generation", now dubbed "Gen4" by Glock itself. Updates centered on ergonomics and the recoil spring assembly. 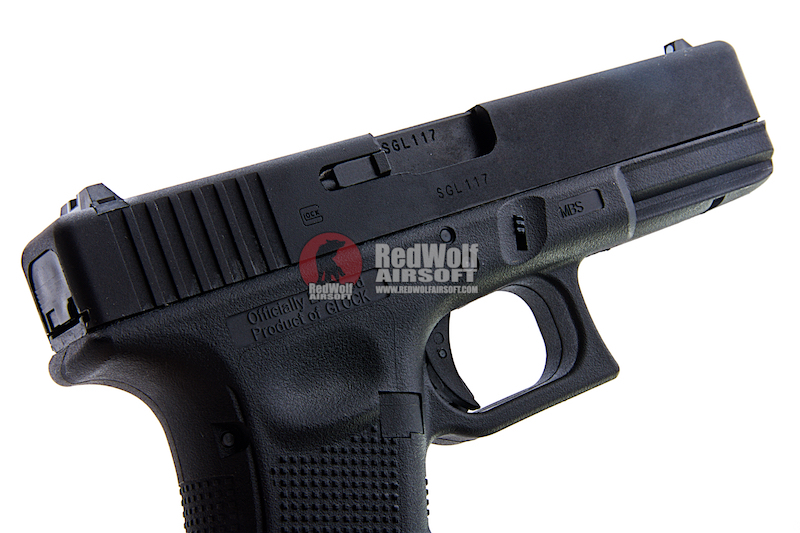 The initial two fourth-generation models announced were the full-sized Glock 17 and Glock 22, chambered for the 9x19 mm Parabellum and .40 S&W cartridges, respectively. The pistols were displayed with a modified rough-textured frame, grip checkering, and interchangeable backstraps of different sizes. 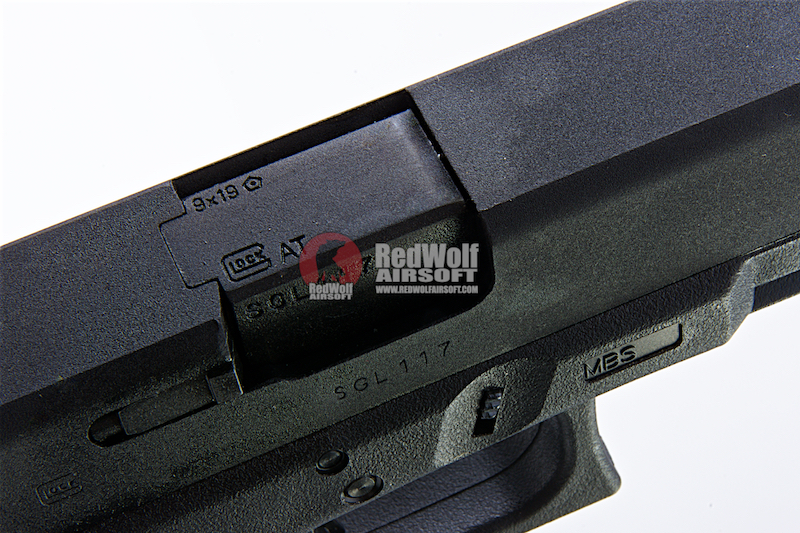 "Gen4" is rollmarked on the slide next to the model number to identify the fourth-generation pistols. 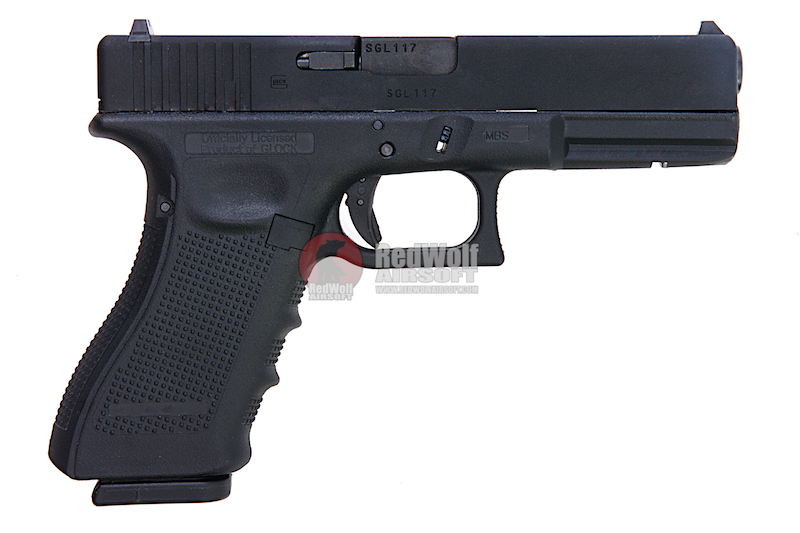 The Glock 17 is the original 9x19mm Parabellum model, with a standard magazine capacity of 17 rounds, introduced in 1982. 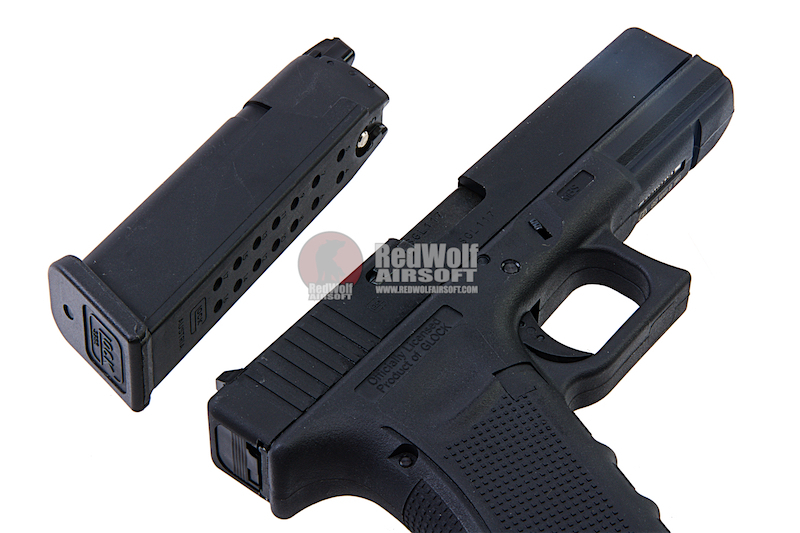 Several modified versions of the Glock 17 have been introduced. 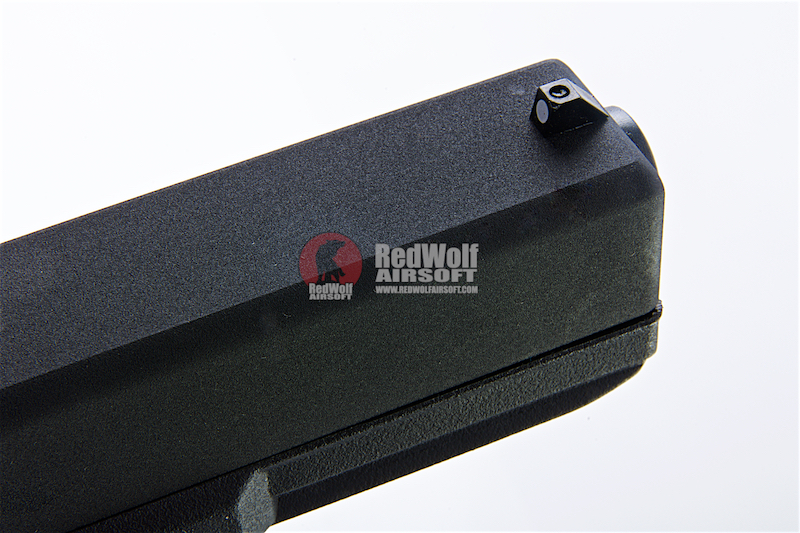 The airsoft version faithfully replicas the same features externally. The pistol works on regular green as and fires with a crisp, fast cycle. 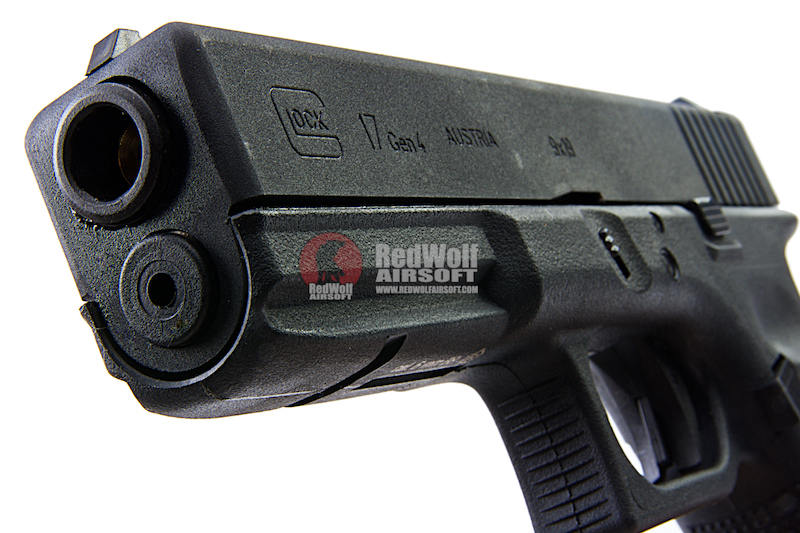 The added benefit of this being a licensed product is that it can also work with many other accessories designed for Glocks such as weapon lights, holsters, etc. without having to worry if your pistol will be to spec. Being a fully licensed product, all the corresponding markings are the same as what you will find on the real firearm. UMAREX is the world's largest manufacturer of over-the-counter firearm replicas and the largest importer of air guns in Europe. Founded in 1972, the mid-sized company is now run by the second generation of the two founding families. It has approximately 1,000 employees worldwide. The key to the company's success has been the acquisition of licenses to build replicas of well-known weapons, which then can be sold without restrictions. Umarex currently holds licenses for the brands Beretta, Browning, Colt, Heckler & Koch, Ruger, Smith & Wesson and IWI..
x1 Umarex Glock 17 Gen 4 GBB Pistol.